The average operating life span is a factor that should always be considered when choosing a new roofing system. Residential roofing company Creative Construction Group compares the average operating life spans of residential roofing systems. Asphalt Shingles — Traditional three-tab shingles are expected to last 20 to 30 years. 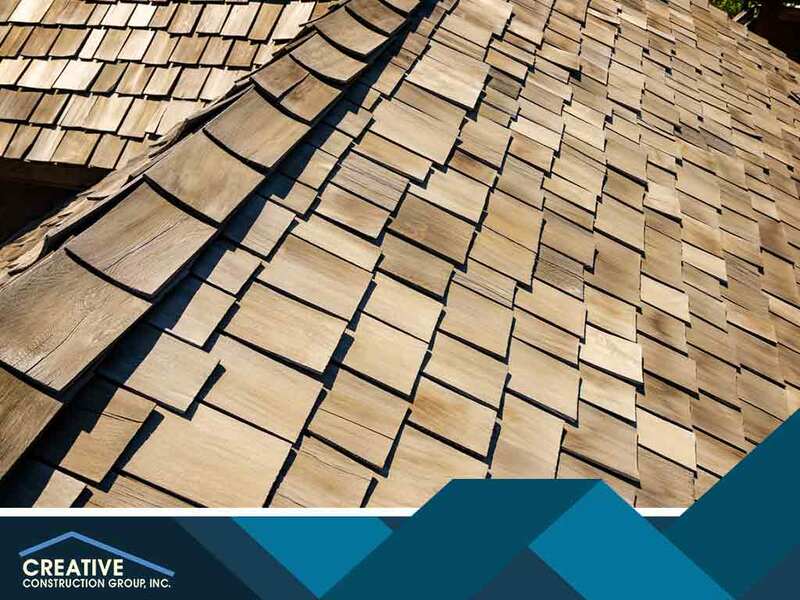 Laminate (also known as “dimensional” and “architectural”) are thicker, layered shingles that are expected to last 30 years. Some manufacturers warranty their laminate asphalt shingles to last up to 50 years. Wood Shakes and Shingles — If properly treated wood such as cedar is used, wood shingles are expected to last 30 years or so. Shakes are hand-cut wood that is usually much thicker than shingles and is expected to last up to 50 years. Metal — The term “metal roofing” typically applies to sheet metal made of galvanized steel and usually lasts for as long as 80 years. While not offered by all residential roofing contractors, copper is a great option that lasts 100 years. Slate and Tile — Natural slate and clay tile roofs typically last more than 100 years if properly cared for. Options like concrete tiles and GAF TruSlate® are available as more affordable options; however, they last a few years shorter than their traditional counterparts. Many homeowners tend to choose the roofing system with the lowest upfront cost, which also tends to be the ones with the shortest life spans. Having said that, options such as three-tab asphalt shingles are best for homeowners who don’t plan on staying for more than 20 years in their home. If you are planning on staying for longer than that—perhaps even aging in place—then the roofing life cycle cost should be put into account. Simply put, the life cycle cost is the total cost of the roof throughout its lifetime. In addition to the upfront cost, the maintenance and repair costs are also considered. Roofs with longer life spans and lower maintenance costs may have higher upfront costs, but will likely end up with a significantly lower life cycle cost. To learn more about choosing the right roofing installation option, call Creative Construction Group today at (815) 339-0550. You can also fill out our contact form to schedule a free, no-obligation quote. We serve Crystal Lake, IL, and surrounding areas in Illinois.